The route optimization plugin for BigCommerce allows you to make deliveries from BigCommerce with just a few clicks of a button. Insert the API key in the API field. On the “Orders” screen, you’ll be able to see the export status of each order. 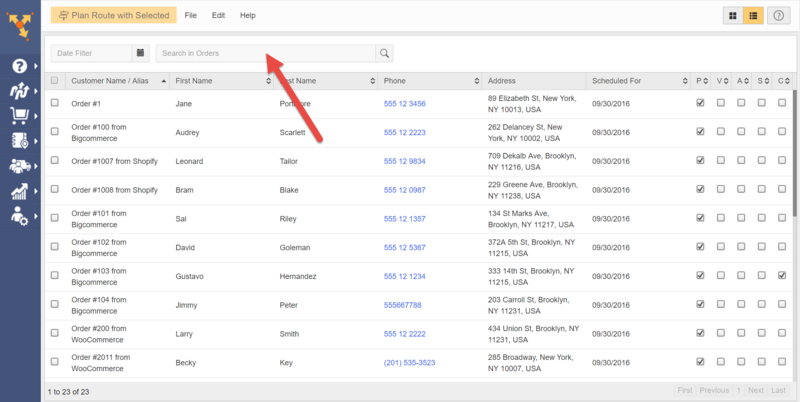 Each order you send to Route4Me also has an order lookup button. Clicking this button will bring up Route4Me order details and status. 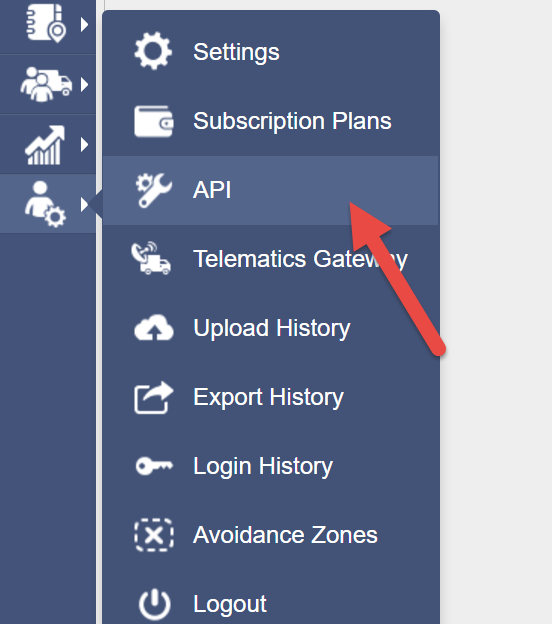 To send an order to Route4Me, click the “Export” button. Next, schedule the order by clicking on the “Scheduled For” field. The system will notify you that your order has been successfully added. You can check your Route4Me account to ensure that the order has been added successfully. Copy the name of the order and paste it in the search bar of your Route4Me orders section. Right-click on the order and select “Edit” to open it. Here you can view and edit all available customer details. To do a bulk export, click on the checkboxes next to the orders you want to export. You can also select all orders at once by clicking on the checkbox in the header. The system will notify you if there are any orders with invalid addresses. Those addresses need to be exported individually. After exporting your orders from the store, you can use them to plan a new route. 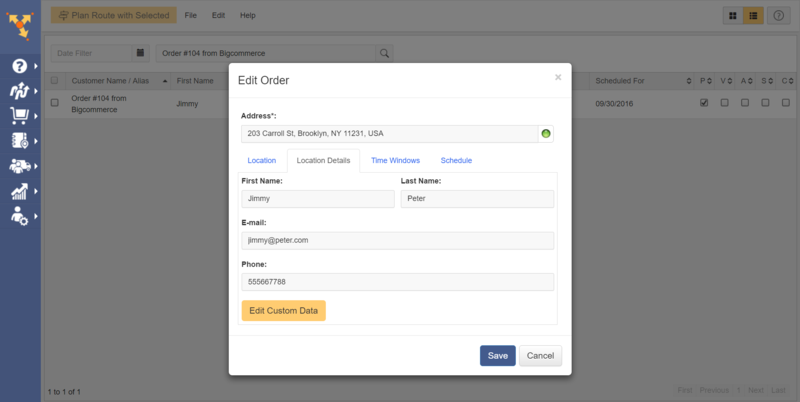 The Route4Me for BigCommerce plugin features a built-in geocoder, which allows you to accurately determine the correct address for each order. If your customer types in an incorrect address, the system will notify you that there are multiple options available to choose from. Click on the notification to bring up the available options. 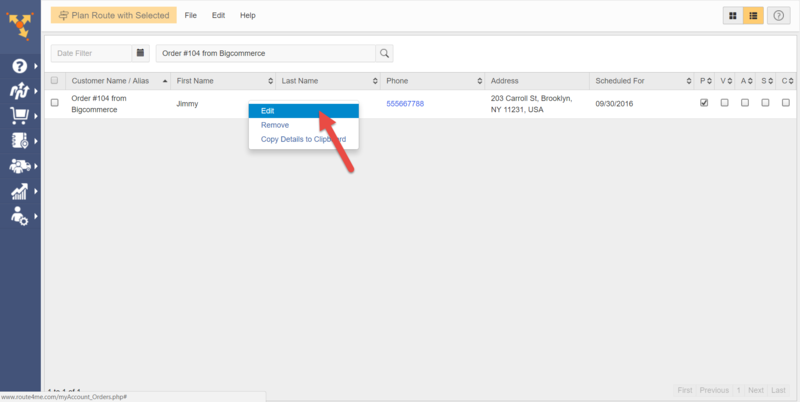 Select the correct address from the suggestion list. Select a date for the order. Finally, click the “Add to Route4Me” button. Now you can add this order to a route and make a successful delivery.